Discover our minimalist and well-protecting Macbook Pro cases. A high-end product like Apple's Macbook Pro 13 inch (2016) is something special. 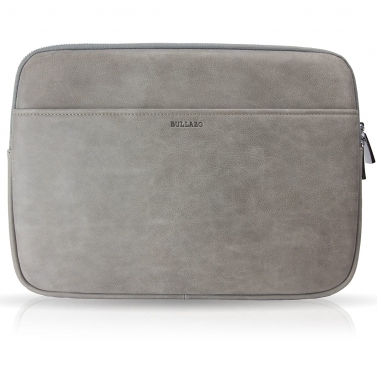 We at BULLAZO offer you the matching, special Macbook leather case as a protective cover and stylish accessory. Whether you're at work, at a meeting or university, in your backpack, in your briefcase or simply in your hand, your Macbook Pro 13 "(2016) is ideal and stylishly protected. Protect your Macbook Pro 13 securely with the new BULLAZO Macbook Pro Cover MANZANO. Especially the Macbook Pro 13 inch Macbook Pro is always a pleasure to take with us everywhere. It is light, compact and handy. But the more and more often we carry the beautiful device around with us, the better it can be protected. As a brand for business and lifestyle accessories, BULLAZO attaches particular importance to classic and elegant design. Therefore, optimal protection is important to us without any design restrictions. 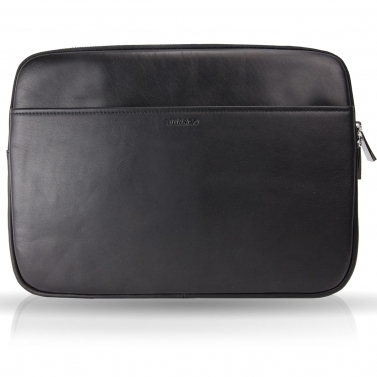 The MANZANO Macbook Pro leather case for the 13-inch device offers this protection: high-quality genuine leather on the outside, soft, gentle material on the inside and thin but very effective padding in between provide the desired all-round protection. In addition, the inside zipper protection protects the Macbook Pro 13 "from scratching. A shell that is definitely worthwhile.